Before I dive back into book and resin related goodies I’ve got to show off the little bit of fiber touring I did while I was there. 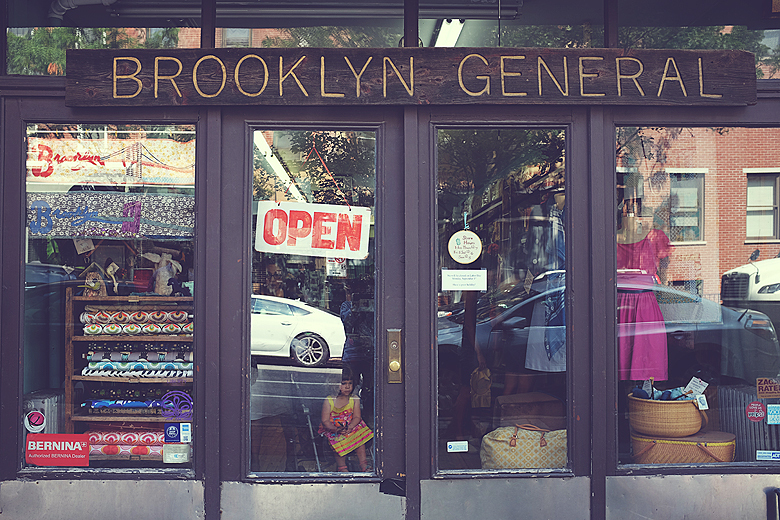 The Brooklyn General Store doesn’t sound like a yarn shop, does it? I suppose because, strictly speaking, it isn’t. 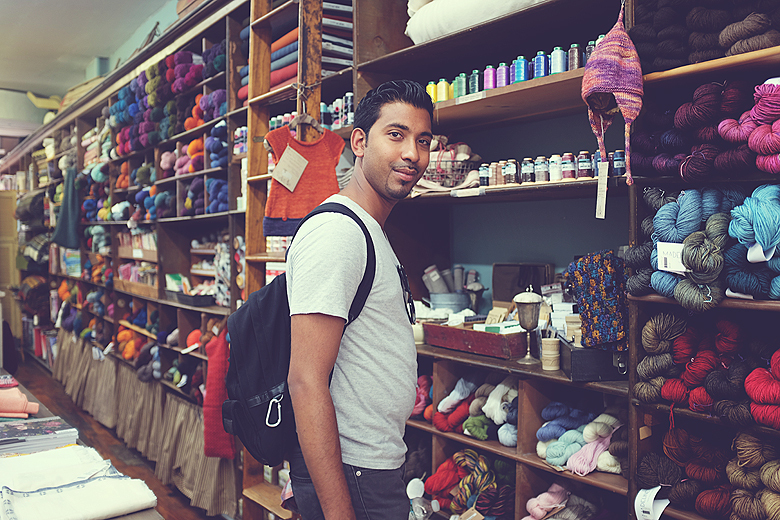 Nestled on a quiet street in a residential area of Brooklyn, it’s a sweet combination of all kinda of goodies, including fabric roving, dye and ribbon. 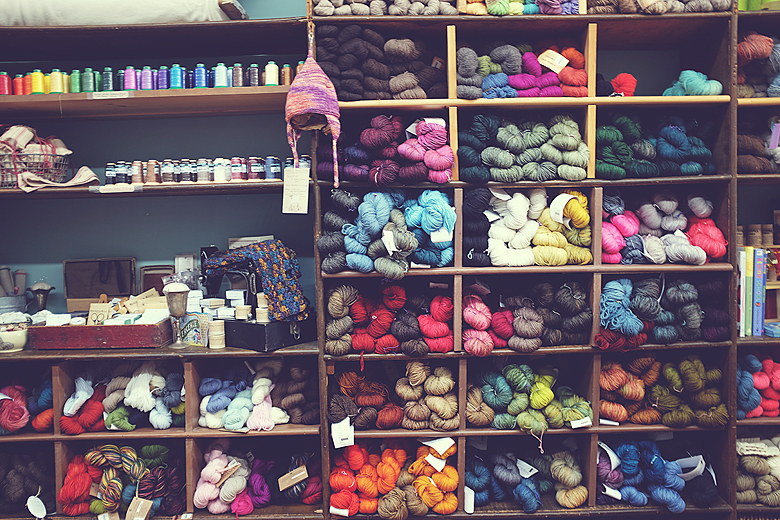 Then there’s the yarn. 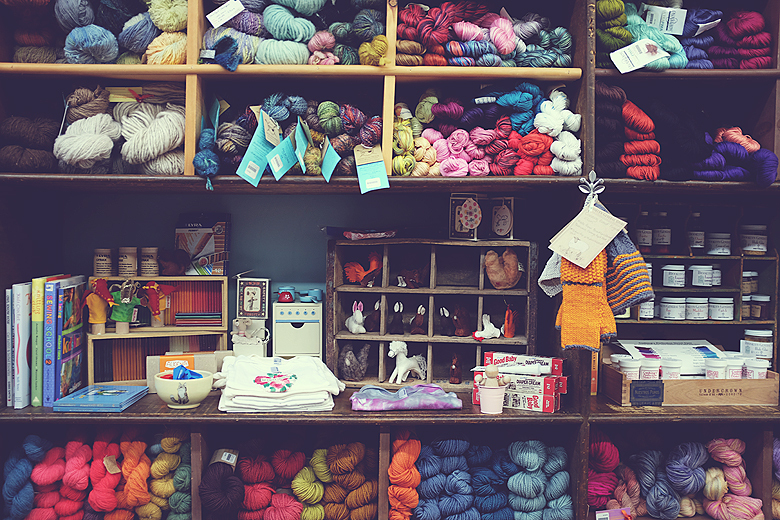 A beautiful selection of all the good stuff, including MadelineTosh. I know that isn’t remarkable in and of itself, but I discovered something that made my little fibrous heart flutter–the colorway ‘Whiskey Barrel’. 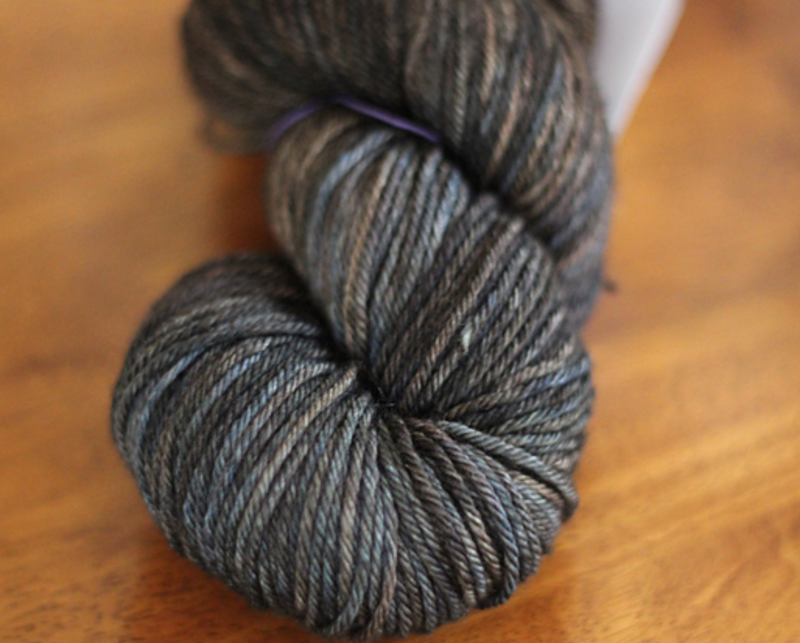 A few years ago, the dyer of my all-time favourite colorway, ‘Graphite’ by Viola Viola decided to take an indefinite dyeing hiatus. The big hit for me was that I could never find another colour quite like ‘Graphite’. Until ‘Whisky Barrel’! *Almost* the same, right? 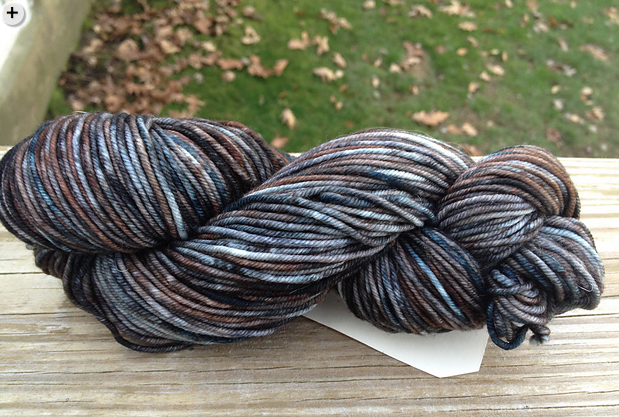 So of course, though it’s far from exotic, I walked out of there with a skein of MadelineTosh. 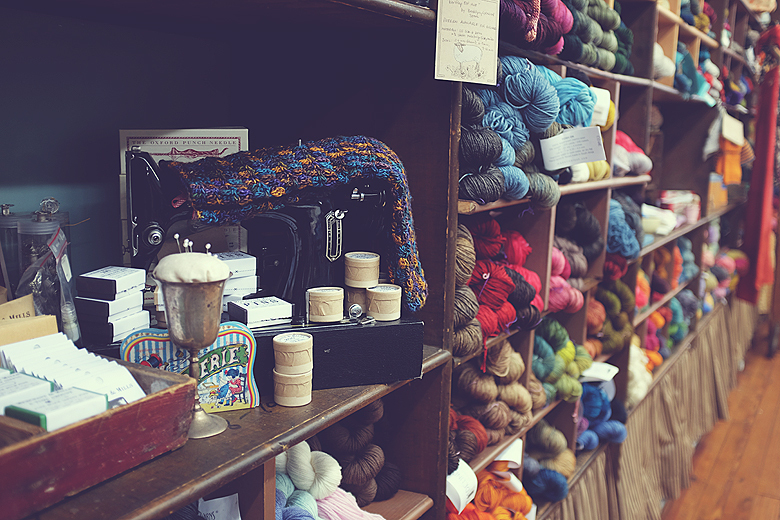 I also walked out of there with some packets of acid dye, and a pair of 2-ounce bags of un dyed fiber (superfine merino and baby alpaca). 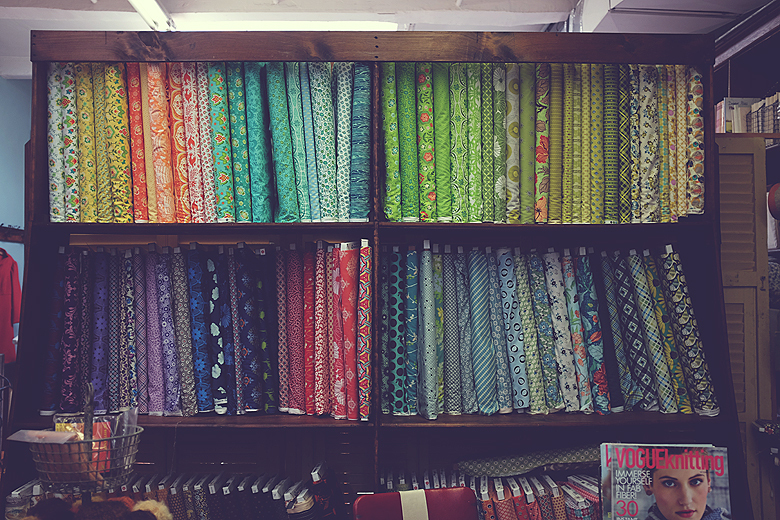 Adorable place, awesome selection, and if you find yourself in Brooklyn I’d definitely recommend a visit! 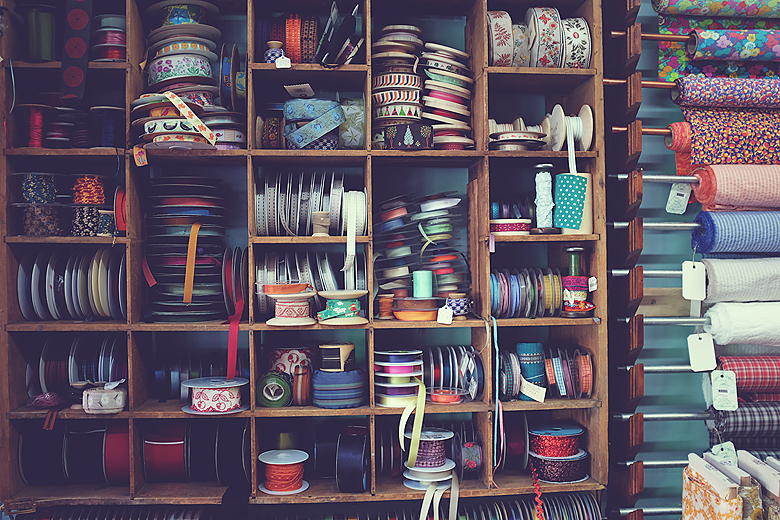 Like in the candy store… colors, flavors, feel.